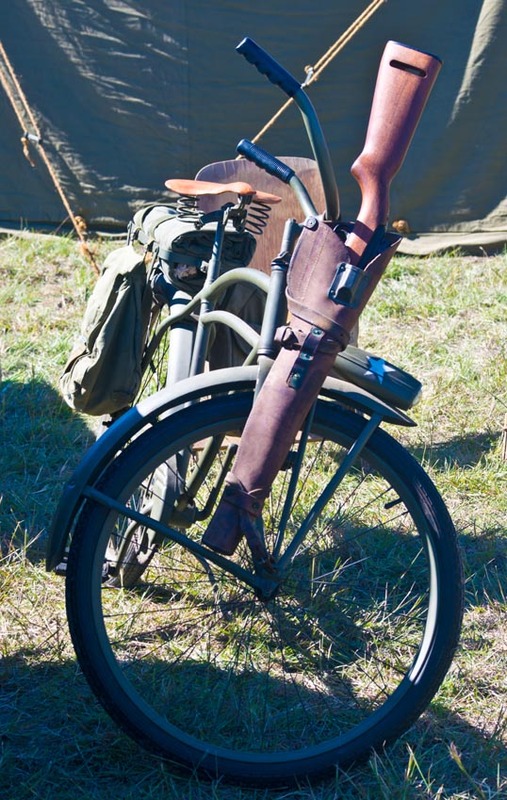 This entry was posted in Bicycling and tagged bicycle, cycling, gun, holster, Photography, rifle, vintage, wwii. Bookmark the permalink. Nice quote. I can’t imagine riding around on rough roads with a loaded rifle on my bicycle. I have enough trouble with groceries.